2015 was a historic year for Bossier Parish. The summer flood…Barksdale’s 4-Star designation…economic growth around the parish… there was no shortage of news this year. Publisher Randy Brown and Managing Editor Amanda Simmons took a journey back through the BPT archives and pulled the stories they feel shaped Bossier Parish in 2015. These stories are listed in no particular order. The Red River swallowed swaths of land in Bossier Parish when it reached a historic crest in June. Northwest Louisiana saw its highest crest in 70 years at just over 37 feet, not far behind the flood of 1945 which crested at 38.3 feet. The rising waters caused evacuations, many headaches and worries for local officials and residents. 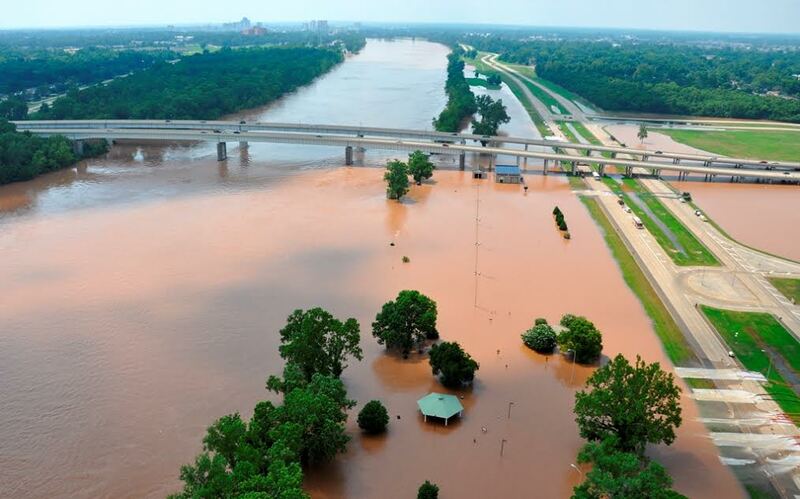 Large amounts of precipitation in the region, specifically the higher volume of water coming in from lakes and reservoirs upstream in Oklahoma and Texas, caused the river to swell. The National Weather Service changed the river crest prediction seven times between May 24 and June 7. Predictions went from a 31.5-foot crest on May 24 to a 34-foot crest on May 29, followed by an expected crest of 35.5-feet on June 4 then an additional foot on June 5. The final crest prediction reached 37-feet on June 7. 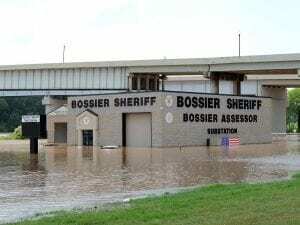 The flood caused many homes to flood and road closures, including both lanes of the Arthur Ray Teague Parkway and the outside lanes of I-220 (westbound) from Benton Road to the Red River. The water level remained high for several weeks before slowly receding to about 27 or 28 feet, just below the 30 foot flood stage. 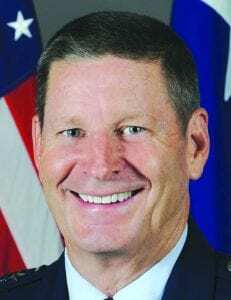 Gen. Robin Rand took command of Air Force Global Strike Command during a ceremony July 28, becoming the newest leader of the organization responsible for the nation’s force of ICBMs and nuclear-capable bombers. Rand is the first 4-Star General to lead the Global Strike Command at Barksdale Air Force Base. A command pilot with more than 5,000 hours, including 470 in combat, Rand previously served as commander of Air Education and Training Command. He succeeds Lt. Gen. Stephen Wilson who had served as AFGSC’s commander since October 2013. In his farewell address, Wilson praised the Global Strike Airmen and civilians for their hard work and dedication. The Air Force elevated AFGSC to a four-star major command in order to provide its global strike mission with the highest level of leadership oversight similar to the service’s other operational core missions. 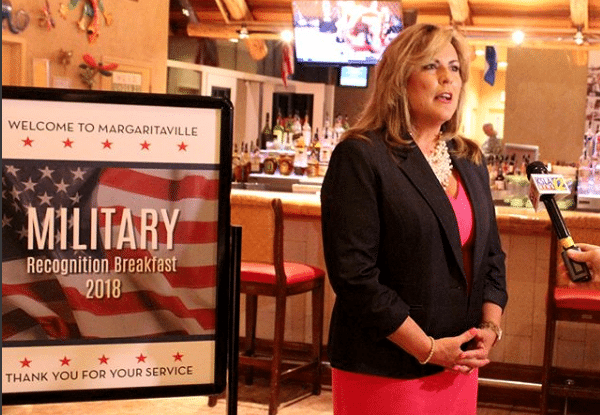 “The appointment of a four-star sends a powerful message to our Airmen, allies and any would-be enemy,” said Secretary of the Air Force Deborah Lee James. “It speaks to our commitment and promise to our Airmen and Nation to ensure a safe, secure and effective nuclear deterrent and global strike capability with the right level of leadership emphasis. 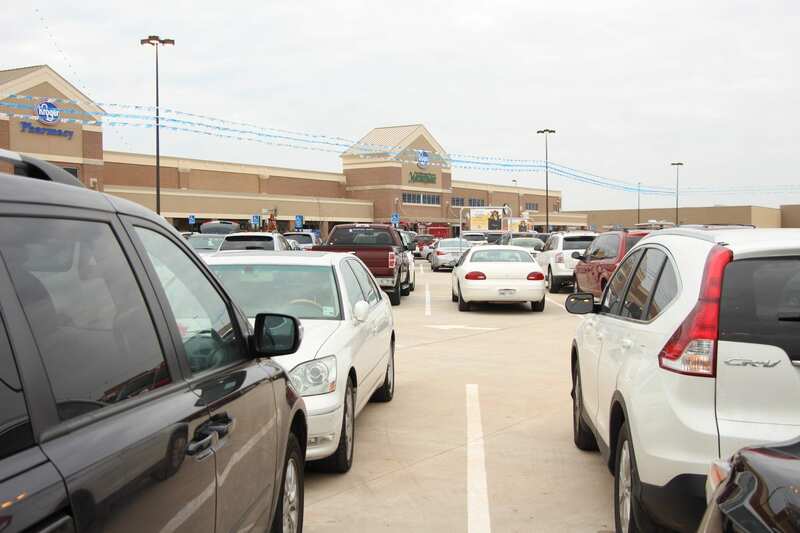 Bossier’s newest shopping development is open for business. Hobby Lobby was first store in Dement Crossing, located on the corner of George Dement Boulevard and Airline Drive, to open in October, followed by Kroger Marketplace in November. Buffalo Wild Wings and Panda Express have also opened. Signs in the development show that Vision 4 Less, Whataburger, Jimmy John’s, Panera Bread and Chipotle will be coming soon. Kroger Marketplace offers customers a food-centric shopping experience with chef-prepared items and pastries, fresh fruit and vegetables, wine, specialty cheeses, premium-cut meats, fresh seafood and organic products. But the list doesn’t stop there. The store has home goods, kitchenware, small appliances, tech accessories, toys, adult and children’s apparel and shoes. It also has a Starbucks, a Kroger Fuel Center and a Kroger Pharmacy. Not only is it the first marketplace store to open in the state, but it’s the first store Kroger has built and opened in Louisiana in 17 years. 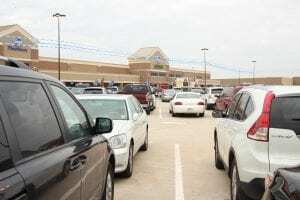 Gary Huddleston, Director of Public Affairs for Kroger in North Texas & Louisiana, said the new store is three times the size of their previous location on Benton Road, which closed its doors. There was plenty of excitement at the start of the school year with two brand new schools opening their doors for the first time. Kingston Elementary utilizes state-of-the-art technology and features within the building to create a unique learning experience for students. Construction of Kingston Elementary began in late November 2014. Designed to help relieve overcrowding at Legacy and Benton Elementary Schools, the new facility will be designed to meet those growth needs by accommodating 1,000 students in kindergarten through fifth grades. BPSTIL is open to high school juniors and seniors who want to pursue career and technical education courses. 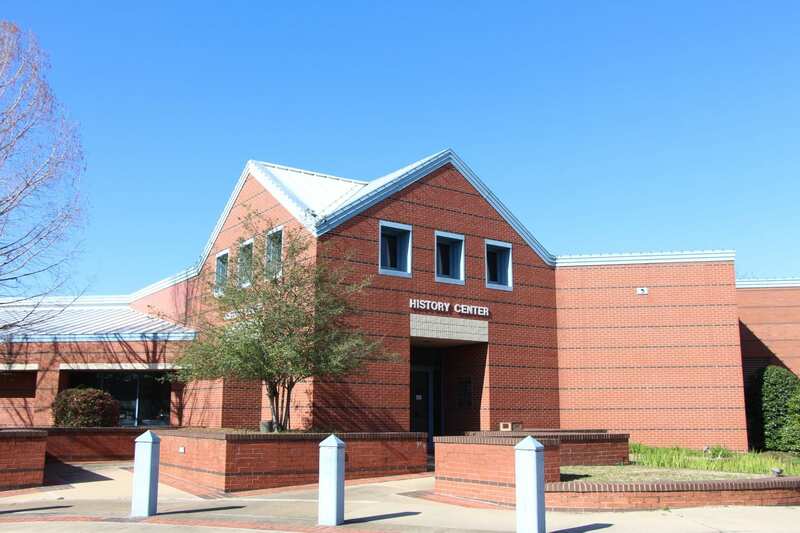 After being housed at Louisiana Technical College in Shreveport for nearly two decades, Bossier Parish students won’t have to cross the river to attend classes. Positioned off I-220 and Swan Lake Road, BPSTIL promises to bridge education with the needs of the workforce and serve as a catalyst between the school system and business and industry. Bossier Schools is in the process of building its first three-story middle school. 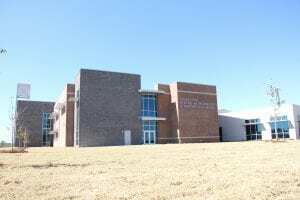 The new Haughton Middle School is designed to accommodate a rapidly growing student population in the eastern part of Bossier Parish. Built for 1,500 students in sixth through eighth grades, Haughton Middle School will include a large, centrally located commons/dining area with its academic wing and athletic facilities, including a gym with bleacher seating for 1,000 with the capability for additional bleacher and floor seating. A groundbreaking ceremony was held in February 2015, but poor weather conditions since have delayed work. 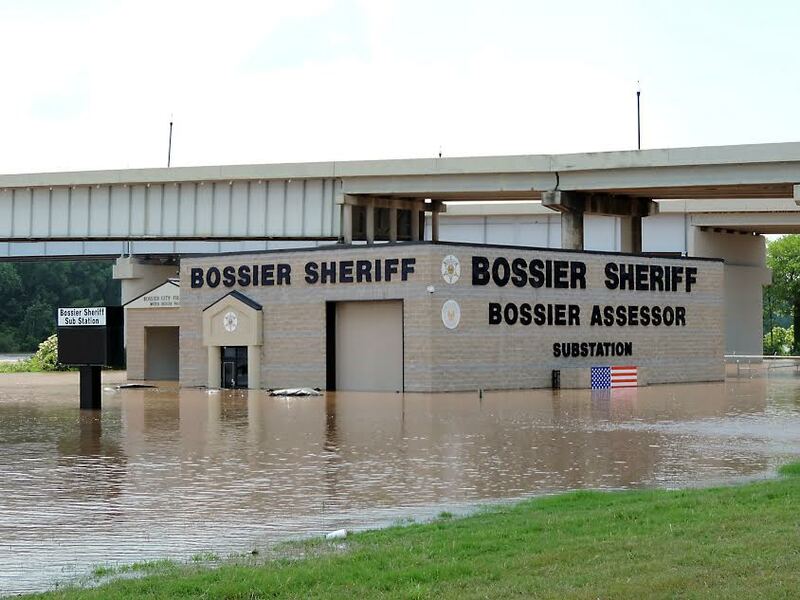 Bossier Parish is entering the final phases of construction of a $55 million sewer system, complete with a state-of-the-art wastewater treatment plant, and the police jury wants to be sure that any future systems built in conjunction with developments come under parish governance. Contractors work on a section of sewer line south of I-220 just east of Shed Road. Ford said the police jury will be responsible for operation and maintenance of the system and if a problem arises, the 50-percent bond will be called in. “The systems will meet the 10-state standard which sets the bar for water and sewer in the United States. Everything goes through DHH and DEQ,” Ford pointed out. Police jury members also agreed Wednesday to move two parish roads up by on the road overlay program for 2015 after learning that traffic counts had dramatically increased on both. A 1.4-mile section of Swan Lake Rd from Airline Dr. to the Flat River bridge had been scheduled for 2016 while a .7-mile portion of Linton Rd. from Airline to Old Palmetto was due for resurfacing in 2017. Ford asked jurors to approve both for completion this year. 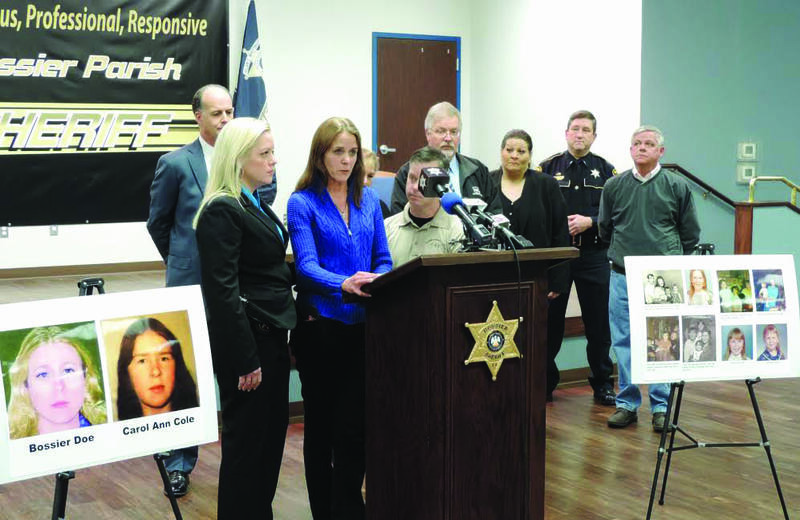 Within six days of launching the “Bossier Doe” Facebook page in early February, the Bossier Sheriff’s Office received a tip that would quickly lead to identifying the victim of a cold case murder. The Bossier Sheriff’s Office confirmed the identity of “Bossier Doe,” a woman found murdered in Bossier Parish more than 30 years ago, as 17-year-old Carol Ann Cole of Kalamazoo, MI. “It’s been a long 34 years, one month and five days of waiting for the Cole family. I’m here to tell you that the wait is over; Carol Ann is coming home,” Sheriff Whittington said during a press conference. “Bossier Doe” was the name given to an unidentified female who was found deceased by hunters in the woods off of Highway 157 near Princeton on Jan. 28, 1981. The Bossier Parish Coroner’s Office found multiple stab wounds on her and determined she had been deceased for about four to six weeks. Bossier Sheriff’s Office detectives found no purse or identification on her, and a search of missing and unidentified person’s databases turned up nothing. Her identity remained a mystery through the years….until now. Carol Ann Cole was born November 5, 1963 in Kalamazoo. Jeanie Phelps was just a teenager when her sister went missing in 1981. On Feb. 6, detectives created a Facebook profile page for “Bossier Doe” in hopes of sharing her story around the nation. This was similarly used in another case involving Tammy Jo Alexander, a missing Florida teen from 1979 who was identified some 35 years as a homicide victim in New York with the help of social media. Just six days after the Facebook page went live, investigators received a tip from a Bossier Parish 911 communications officer who said she saw a posting on Craigslist of a missing person girl from Michigan that looked similar to the composite drawing of the profile picture on the “Bossier Doe” page. The missing person on the Craigslist posting was Carol Ann Cole. Bossier investigators contacted the family of Carol Ann Cole and coordinated with the Kalamazoo Township Police Department to set up a collection of DNA samples from the parents of Carol Ann. The DNA results confirmed Carol Ann Cole to be “Bossier Doe.” Phelps said she hopes the person or persons responsible for taking her sister’s life are held responsible and that justice is served for Carol Ann. Investigators believe Carol Ann was in the Shreveport area in late 1980, especially in the 1200 block of Fairfield Ave. (named Howell Street back in 1980) near downtown Shreveport not far from Fertitta’s Delicatessen, as well as the 6800 block of Fairfield Ave. near 70th Street. No arrests have been made in the case. In order to fill the next generation of workers for its burgeoning information industry, Bossier City is currently in the midst of redeveloping its old downtown area. 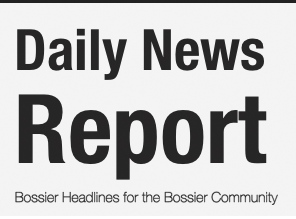 The vision was unveiled at the July 7 Bossier City Council meeting. Bossier City is hoping to turn the downtown area known as Old Bossier into a thriving living/work/play space for future generations. 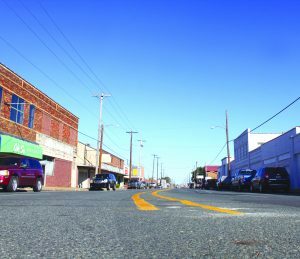 City leaders believe the revitalization effort would create a development providing a feather in the cap of northwest Louisiana when it comes to talent recruitment, as well as securing new businesses. The catalyst for this plan is a new workforce of 800 jobs through the Computer Science Corporation (CSC) center at the Cyber Innovation Center. 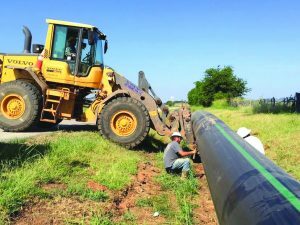 During negotiations with CSC, it was revealed that Bossier City and Lincoln, Neb. were the top two choices for the relocation. Local leadership asked what was attractive about Lincoln and were told it came down to the revitalization of the city’s downtown core, which is appealing to the Millennial workforce (age group classified as born between the early 1980s to 2000) that will make up the CSC. the overall master plan calls for a central plaza as focal point for development, maintaining Barksdale Boulevard as a commercial street, and creating a dense core area as a mixed use town center. “Folks can live above store fronts, live within steps from where they work, walk restaurants, enjoying activities in the plaza,” said Sims. Radiate out from central core, allow for more residential components to develop with sidewalks and bicycle lanes plus a walking bridge to the Louisiana Boardwalk Outlets. “We think this is a place that wants to be vibrant 24-7 and if it’s done properly, there’s no reason it can’t be. We think of it as a place where people want to live and stay,” said Sims. Phase I of the plan would capture the spirit of the development to jump start further development. This includes developing a core featuring the already existing Flying Heart Brewery, L’Italiano restaurant, Bossier Arts Council, and Hoot and Holler Archery off a redeveloped Barksdale Boulevard. The town center would surround plaza space with a new retail street, a mixed use development with commercial restaurants and retail on the bottom floor and 115-unit apartments above it, and a multi-story economic incubator building. Other projects in Phase I would include street scaping, redeveloping the roads flanking Barksdale Boulevard, and burying power lines. The essential idea is to create a critical mass to get the development going and set a high standard to allow the development to grow organically with private investment. “You set the bar high from the beginning for a future development to be at that standard,” said McSwain. He predicts the first phase of the project could go out to bid by the end of the year with construction beginning in 2016 and lasting 18 months. The rough estimate for the project is between $10 – $12 million. The full revitalization effort is predicted to be completed in 10 years. The ACLU of Louisiana has sent an open letter to Bossier Schools Superintendent D.C. Machen in September concerning “a pattern of religious proselytization” at Airline High School. State Representative Mike Johnson (R-Bossier City) said the school board was unanimous in their resolve to stand for the rights of students, the rights of religious freedom and the principles of free speech. He called the board’s meeting a big night for not only the parish, but for the state and country. The community continues to support Airline High School and Principal Jason Rowland, who has been thrown into the national spotlight since the ACLU’s letter was sent. 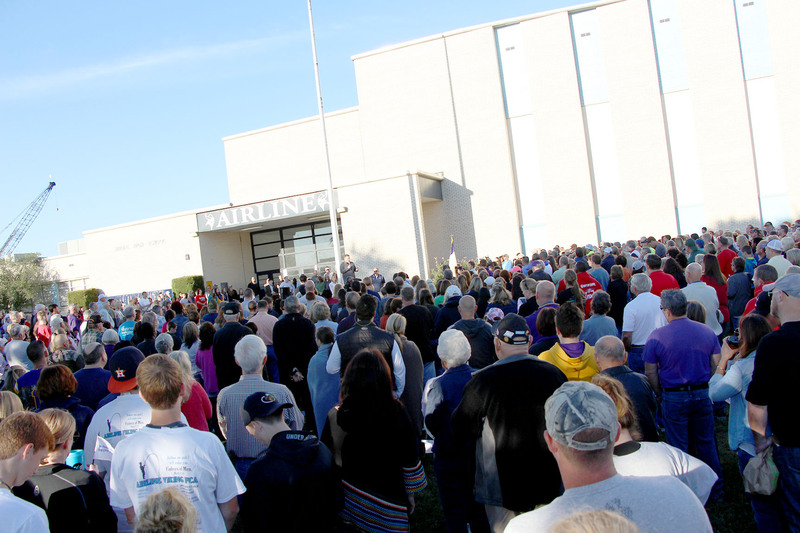 Thousands gathered outside the school for a prayer rally. Airline High School was thrust into the spotlight after someone, who Esman would not identify, filed a complaint against the school. They also received a photograph of the “prayer box” that was to be put out by the Fellowship of Christian Athletes (FCA) and a copy of the text written by Rowland from the school’s website. A lawsuit has not been filed against the school system. Johnson feels as though there will not be a formal response from the ACLU regarding the board’s action. The District 36 Senate race was long and hard, but a winner was chosen. The votes were close in this race. Gatti received a mere 325 more votes than opponent State Rep. Henry Burns, a Republican, who received 49 percent of the total votes. 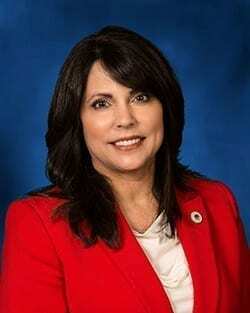 Burns, however, received the majority of votes in three of the four parishes in the Senate 36 district. Burns says now that the election is over, he will spend more time with his family. With his children grown and on their own, he says he’s looking forward to spending time with them and his grandchildren, attending various events and supporting them. Dodie Horton, the legislative assistant to current state Rep. Henry Burns, won the District 9 seat in the House, defeating Mike McHalffey. Horton, a Republican, received 65 percent of the vote to 35 percent for McHallfey, a Republican, according to the unofficial results. Jill Sessions was elected the next clerk of court for Bossier Parish on Saturday, handily defeating a candidate from the district attorney’s office. Sessions, who is currently the chief deputy clerk of court, will succeed Cindy Johnston, who did not seek re-election. 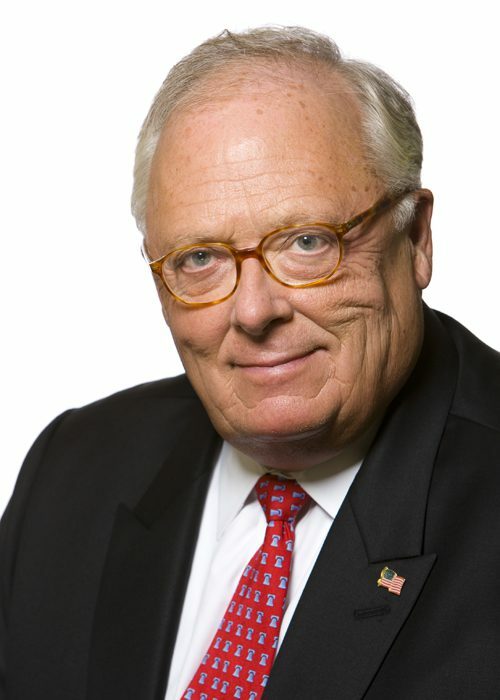 Tax Assessor Bobby Edmiston won re-election, easily defeating challenger Patsy Maggio. Edmiston received 76 percent of the vote to 24 percent for Maggio, according to complete but unofficial returns. Three of the 12 incumbent police jurors had challengers but all three were re-elected. Results of the three contested elections for seats on the Bossier Parish Police Jury. District 4: Sonny Cook (I), 54 percent; John Ed Jorden, 46 percent. District 5: Jack Skaggs (I), 63 percent; Barry Butler, 37 percent. District 9: Freddy Shewmake (I), 60 percent; Charles Gray, 40 percent. A piece of history has made its way to Bossier City in July and has become a permanent part of the local landscape. 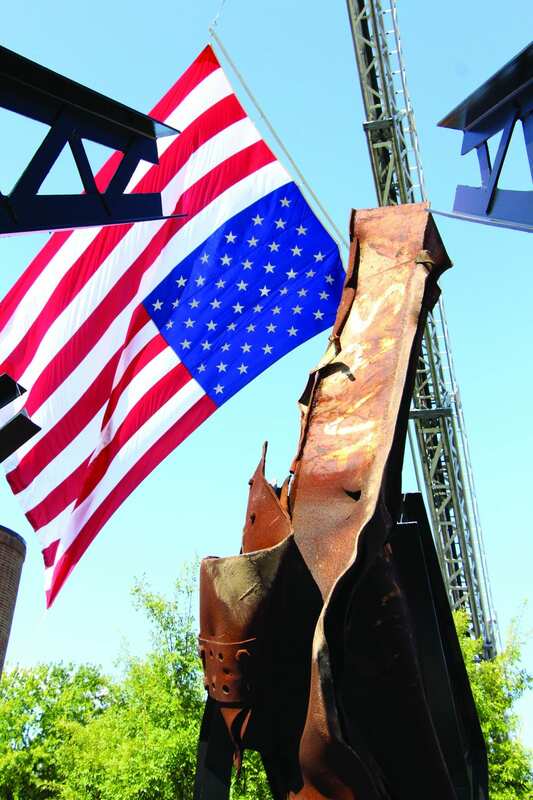 A 16-foot steel beam from the World Trade Center towers, recovered from Ground Zero in New York City following the September 11, 2001 terror attacks, arrived in Bossier and was put on permanent display at the Liberty Garden, located between the Bossier City Fire and Police Departments, in memory of those whose lives were lost that tragic day in 2001. Efforts to acquire the 9/11 artifact began nearly four years ago when local businessman and Keep Bossier Beautiful President Tom Lawson was in Indiana and saw “Project Indianapolis,” a memorial comprised of twisted pieces of metal from the Twin Towers. Lawson and his son, Scott, worked with the Bossier City Mayor’s Office and Keep Bossier Beautiful to put the wheels in motion to secure the beam. Word came on Feb. 13, 2015 that the beam would be coming to Bossier. “Four years is a long time when you’re waiting on something,” Lawson said. “It has taken a while for it to finally get here. Lawson said the most important thing is to remember the people who lost their lives and what was ultimately taken from America that day. No public funds will be used to place the monument. 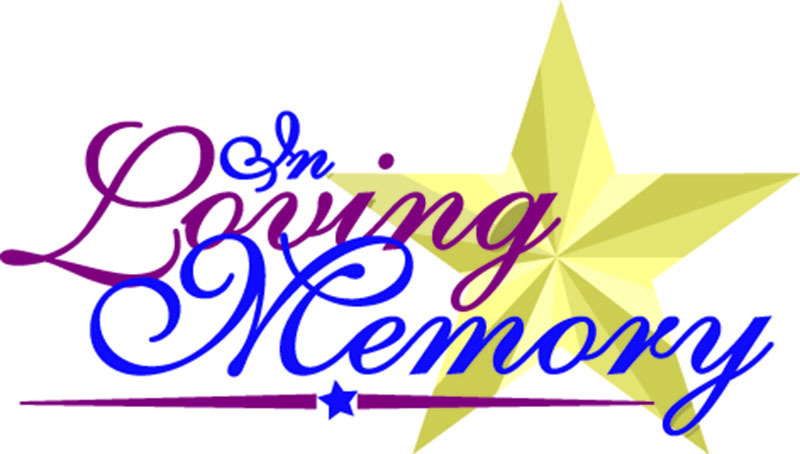 Instead, funds were donated by Calumet for the memorial. Bossier City Mayor Lo Walker commended Lawson and the Keep Bossier Beautiful team for discovering this opportunity and their persistence to making it happen. Dr. Douglas “Rick” Bateman Jr. has been appointed the new chancellor of Bossier Parish Community College. 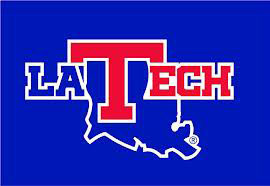 The announcement was made April 8 at the Louisiana Community and Technical College System’s board meeting. Bateman was selected from a pool of four finalists. 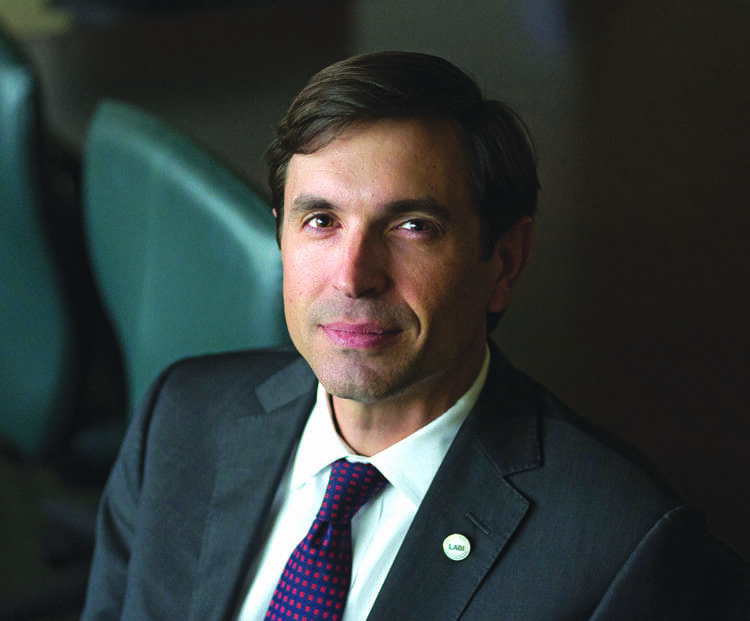 Bateman now becomes the sixth chancellor of Bossier Parish Community College. 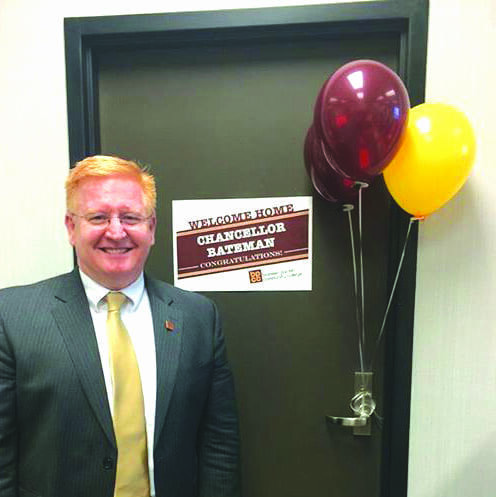 In December, he was chosen to serve as interim chancellor of BPCC after former chancellor Dr. Jim Henderson was named President of Northwestern State University in Natchitoches. He also served as the Interim Director of Northwest Louisiana Technical College. The recommendation was made by LCTCS after an open and competitive national search that included on campus interviews and public forums with students, faculty and staff, and community members. 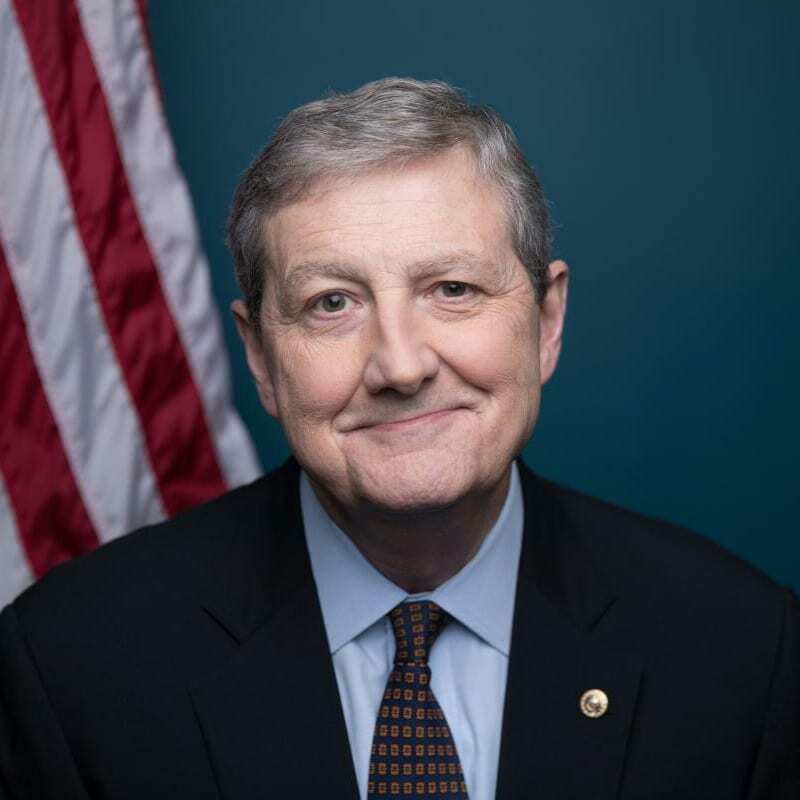 Bateman said his leadership style is driven by core values that include courtesy, integrity, perseverance, respect, trust, and personal growth. 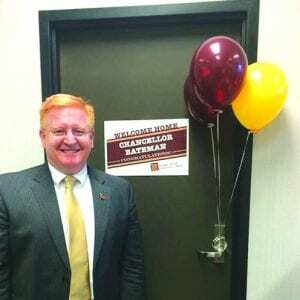 When asked why he chose BPCC, Bateman said he felt best fit for the job. After 15 years in the Shreveport-Bossier market, the CenturyLink Center has been a consistent economic generator and positive addition to the overall quality of life for residents. While it has gone through its ups and downs as any business or entity has, CenturyLink Center General Manager Rebecca Bonnevier believes the arena is undergoing a rebirth. Bonnevier was part of the original team that helped open the arena in 2000 and said she is seeing the market and industry circle back around to a new honeymoon period just in time for the arena’s 15-year anniversary. Currently, the CenturyLink Center may not appear to be a hub of activity, however, Cirque du Soleil has been renting the arena for rehearsal in order to launch their “Toruk” show. 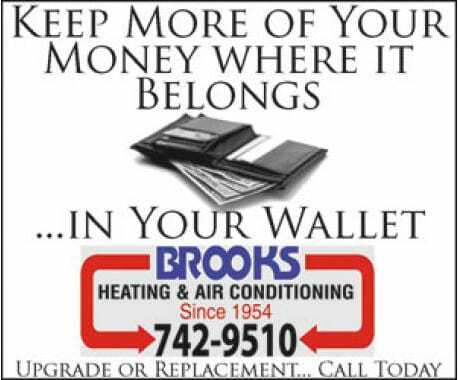 This is a perfect example of the fact that even though there may not be a major event taking place, the CenturyLink Center is still bringing in dollars to the area. She pointed out Cirque du Soleil is occupying the arena for three months and will have a multi-million dollar impact, which will be measured with a Shreveport-Bossier Convention and Tourist Bureau economic impact study. She noted that the SBCTB’s study of Taylor Swift’s two-day rehearsal showed a $1.7 million impact, so the management is expecting big numbers from this most recent stay. Similar to the notion that without a concert or major public event, it’s easy to jump to the conclusion that not having a sports tenant in the building is a wasted opportunity. However, Bonnevier explained that not having a sports team can be a benefit in that it allows schedule flexibility, which is an incentive to attract major performers such as Taylor Swift, Elton John and others. If you have a sports team that is greatly supported by the community, it is always a benefit to have them in the arena, especially knowing that your venue will be filled by fans 40 or so times a year. But if you have a sports tenant that does not draw enough people, you tie up your calendar 40 weekend dates a year with a game that only draws 2,500 or less people, and then you do not have dates available for concerts that can accommodate up to 14,000,” said Bonnevier. And that flexibility in scheduling is paying off as Bonnevier said there are several high profile shows for 2016 she is unable to announce right now. Another benefit of the CenturyLink Center the past 15 years is an understated, but crucial, element to Shreveport-Bossier — quality of life. Bonnevier pointed out that a lot of markets would’ve loved to have Taylor Swift, but for the CenturyLink Center to get her in this market, where residents can drive minutes from their homes, get free parking and see the hottest show of 2015 in their own backyard make the area’s quality of life more attractive. “This market is a tremendous place to live, raise a family and this arena adds to that with family shows, sporting events, or concerts. It means people can see major events and stay here, where they’re comfortable,” she said.